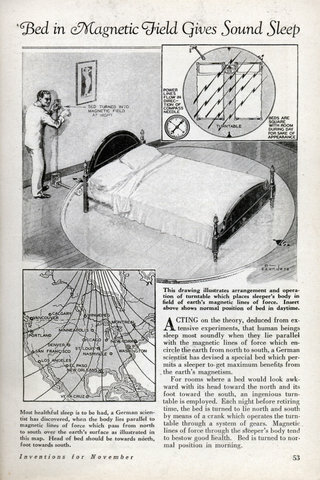 ACTING on the theory, deduced from extensive experiments, that human beings sleep most soundly when they lie parallel with the magnetic lines of force which encircle the earth from north to south, a German scientist has devised a special bed which permits a sleeper to get maximum benefits from the earth’s magnetism. For rooms where a bed would look awkward with its head toward the north and its foot toward the south, an ingenious turntable is employed. Each night before retiring time, the bed is turned to lie north and south by means of a crank which operates the turntable through a system of gears. Magnetic. 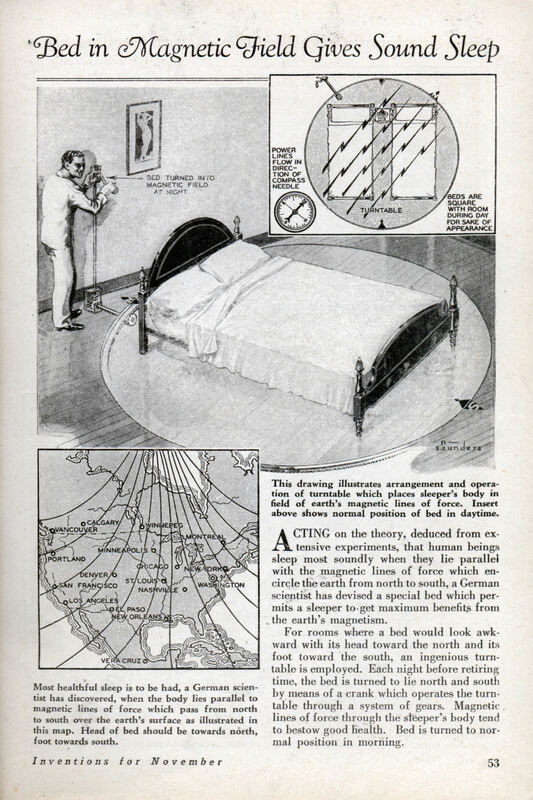 lines of force through the sleeper’s body tend to bestow good health. Bed is turned to normal position in morning. 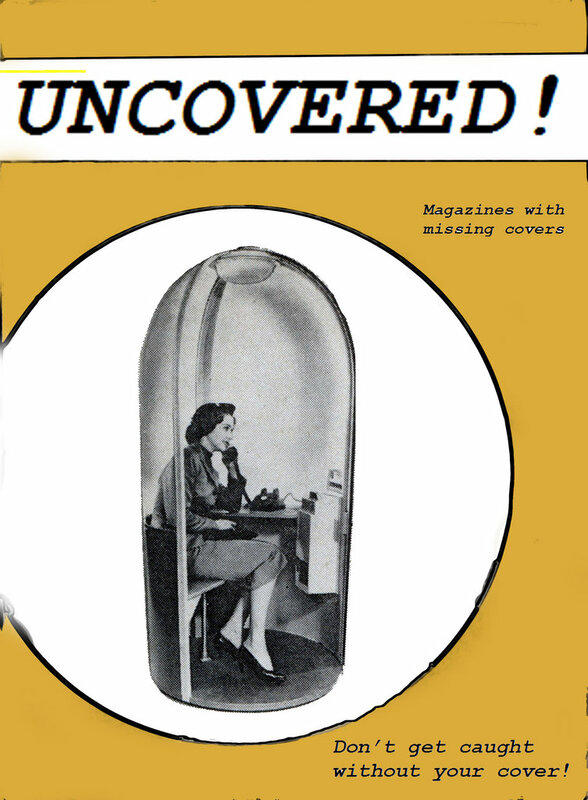 About 40 years ago I read a comic book about a a guy who sleeps in a magnetic field for improved health. He gets superpowers and becomes a villian, or goes nuts, or both. According to that handy map, restless sleepers in Vancouver and Calgary should have their beds facing east-northeast. And how big was that bedroom anyway that it had room for a bed to swivel around? It’s not that the room was so large. It’s just that the bed was the only piece of furniture in the whole room.